We believe in keeping your personnel and property safe and secure at all times. 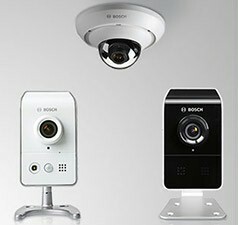 This is not only a question of installing the proper hardware, but also the assurance that alarms are triggered when needed, and video data is recorded and safely stored. This means you can always review what happened, regardless of time and place. The IP 2000 family offers models for either more visible or discrete indoor video surveillance. By smartly combining cameras and recording solutions you can tailor and scale your IP video solution to perfectly fit your needs. With the IP 2000 family, we offer a cost-effective solution especially designed for small retail businesses and homes. For more information about the IP 2000 family click here. Article originally published by Bosch.